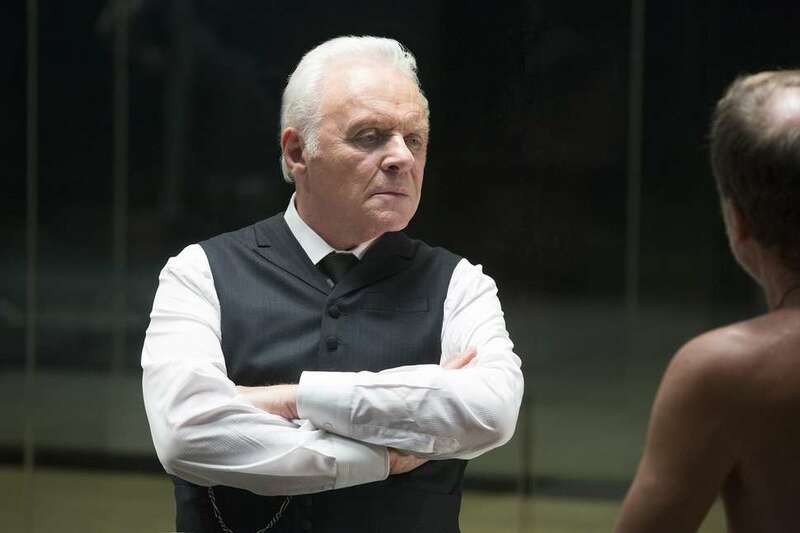 Where Is Anthony Hopkins' Robert Ford In 'Westworld' Season 2? Fans of HBO's Westworld vividly recall the violent ends of the show's Season 1 finale: Dolores, newly empowered with a free will (maybe?) of her own, shows up at the unveiling party for Robert Ford's (Anthony Hopkins) new park narrative, and narrates the hell out of it. Which is to say that she shoots and kills Ford. In a normal show, that would mean the end for Sir Anthony, who brought a gravitas capable of smoothing over some of the dialogue's more on-the-nose moments. And let's not forget about the disturbing de-aging scene! But Westworld is no normal show; it's about robots who repeatedly die and "come back to life" after refurbishment. After we learned that Bernard himself was a host created in the image of original park mastermind and Ford best friend Arthur, anything is on the table, including Ford's (and Anthony Hopkins') return to Season 2. Sorry to disappoint. Show co-creator Jonathan Nolan told EW in late 2016, "We were very lucky to have one amazing season with Anthony Hopkins. We loved working with him. As for the show, where it goes, the characters -- we’ve well established we’re playing in a more advanced ruleset in terms of death and resurrection than other [projects] I’ve worked on. So I would say: Assume nothing." Assume nothing, except that Anthony Hopkins himself will not appear in new scenes. Flashbacks are a different story altogether. Remember the creepy child host Ford created in Season 1? He's back, and it appears as though Ford has uploaded his adult voice into the child robot. You can catch snippets of it when the boy tells the Man in Black that the game is for him now, and the Man in Black must find the door. Does that mean Ford somehow uploaded his consciousness into the boy, Black Mirror-style? And, if so, who's going to spruce up the mangled face of the little boy after the Man in Black shot him? As with all Westworld-related questions, only time will tell. In the meantime, you can speculate wildly with our running list of theories about what will happen in Westworld Season 2. Wes Rendar is a writer who's opening a content-centric theme park called WesWorld.